Offers November 30. AMAZING PRICE for this gorgeous and spacious bungalow in a desirable location in Whyteridge. 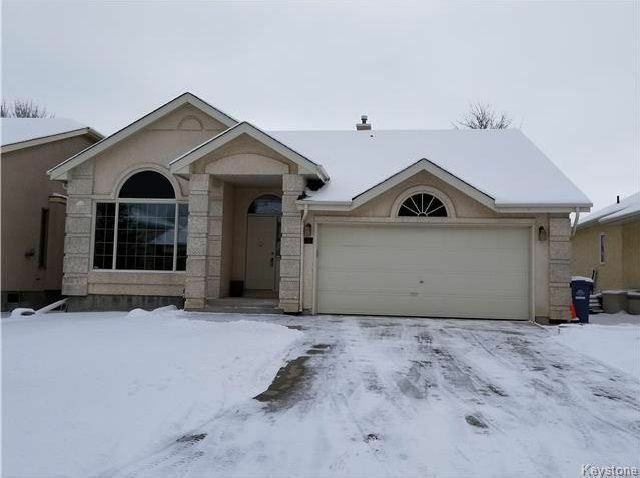 This home is in excellent condition with pride of ownership evident throughout. Modern tones accented by updated flooring and carpets on main floor. Spacious living and dining room combo with newer laminates, bright windows and high vaulted ceiling. Vaulted ceiling continue into the eat in kitchen overlooking sunken family room with gas fireplace and garden door to deck and patio. 3 spacious bedrooms on main with new carpets in 2017. Master bedroom has walk in closet and 3 piece ensuite bath. The lower level is fully finished with huge modern rec room, newly renovated third bath, and also 2 guest rooms. Large back yard on quiet street with deck, patio, and shed. Garage is insulated. Recent upgrades include shingles, central air, and high E furnace. Appliances included. Excellent neighbourhood close to schools and community centre! Possession can be quick! Watch the video for a personal tour!